Hotels: 1. 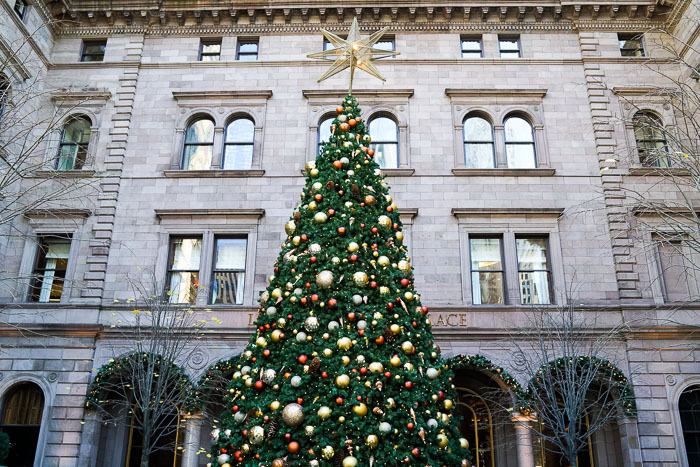 Lotte New York Palace - my favorite place (and tree) in the city! Stray away from the crowds, this is the best kept tourist secret... that is if you've never seen Gossip Girl. 2. The Waldorf - What could be more classic than the Waldorf in NYC? Their decor is so decadent and elegant. They can come decorate my place anytime! 4. The Plaza - The Plaza is seriously amazing all year round but it's even better during the holiday season. There are too many Christmas trees to count! Food: 5. Serendipity - Make sure to call for reservations in advance! While the two hour wait time is pretty serious, it's 100% worth it. 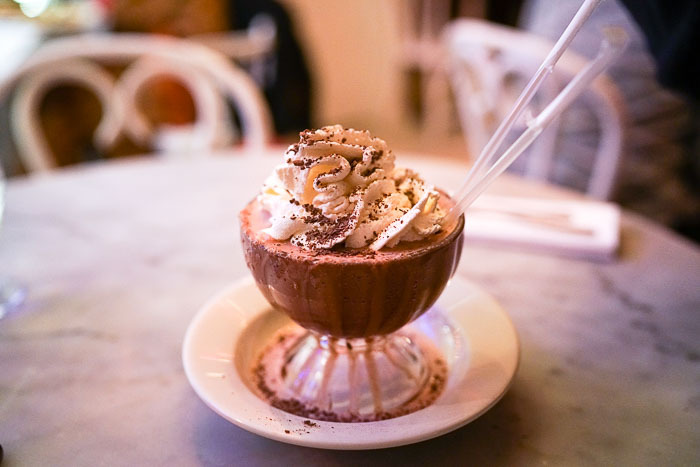 The food is actually delicious and you must try their frozen hot chocolate! 6. Rolfs - If you really want to get in the spirit, stop by Rolfs. It looks like the place threw up Christmas decor and it's totally awesome. But remember they're known for their holiday decor and not their food! 7. Chelsea Market - A personal favorite all year round, Chelsea Market has all the food you could ever want with a beautiful showing of thousands of Christmas lights. 8. 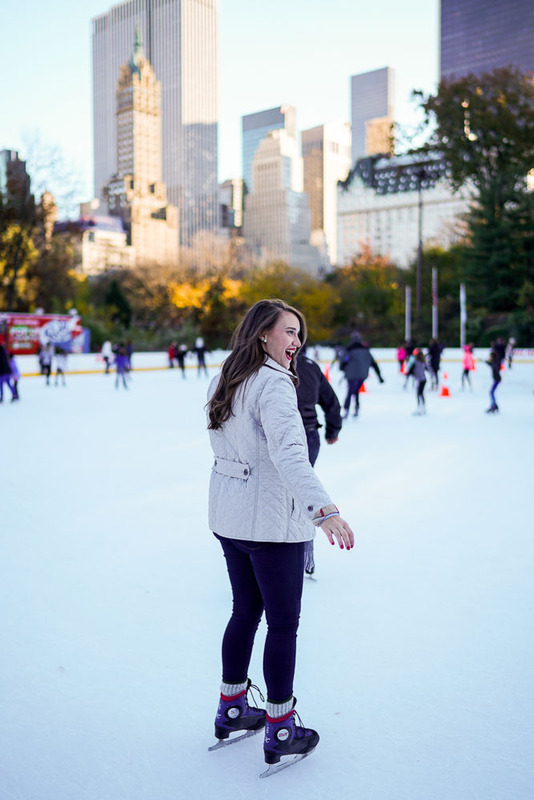 Ice Skating (Central Park, Bryant Park, The Standard or Rock Center) - There is no shortage of rinks in the city come December 1st but each have their ups and downs. I personally love the one in Central Park. What is more New York than that? 9. 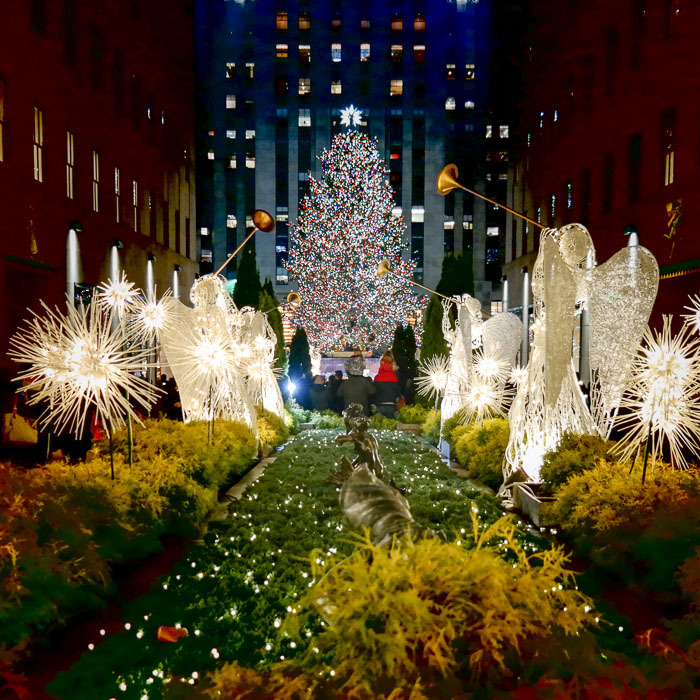 Rockefeller Center - The MUST do thing on this list. It's like a whole block in the heart of the Christmas spirit. The tree is huge, the light show is amazing, the shops windows are around the corner and yes, there is a rink. Just be aware it's busy 24/7 (for good reasons). 10. Seeing a show (Broadway, The Nutcracker, Radio City Christmas Spectacular...) - What's NYC without a show? I'm partial to Broadway but if you really want to get in the spirit of Christmas head over to Radio City or up the street to see the Nutcracker.